De Nada is an elegant gelding with eye-catching looks who is currently being trained in dressage. His bloodlines show an abundance of FEI talent and high rideablity- all the characteristics to look for in your next show horse and partner. He was awarded Premium Foal and Reserve Champion at his breed inspections and placed 3rd in the weanling class at Dressage at Devon that same year. His sire, De Feiner Star, was hugely successful in the East Coast Breed shows. He was successful in dressage showing in FEI classes before recently changing his career to hunter jumpers which he loves! On the Dam side, Royal Prince was Reserve Champion of his 30-day and 70-day Performance Tests, earning 10’s for his rideability and walk, and 9’s for trot, canter, and willingness to work. 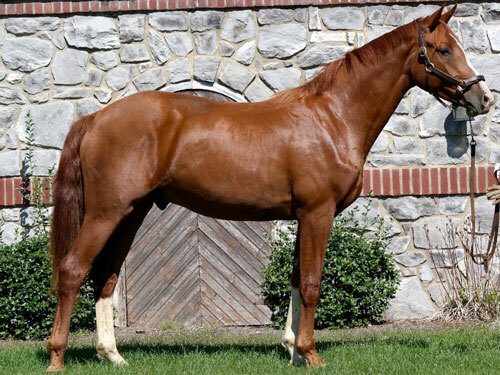 As a five-year-old, he won the East Coast Selection Trials for the World Championships for Young Horses with an unprecedented score of 9.82 and finished in fourth place at the World Championships (the highest American finish to-date). De Nada was started under saddle in the summer of 2016 as a three year old. He has proven to be an excellent student, very willing and he has a super disposition. He has been trailered off the farm for training sessions and he settles quickly and gets down to work. He is wonderful on the ground and great to trailer. 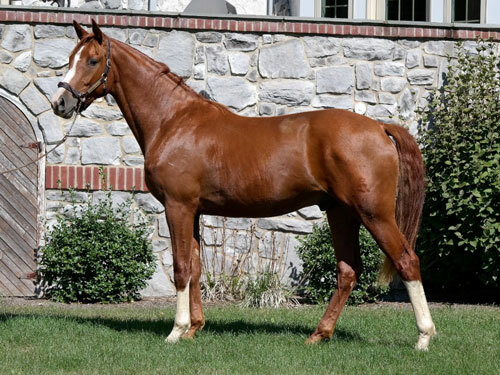 De Nada is very rideable and he would be a great partner for an adult amateur working closely with an experience young horse trainer or an easy professional’s horse. De Nada has several half siblings excelling in the hunter/jumper discipline, a direction he may do well in himself. De Nada will continue in professional training until sold. We will be aiming to bring him along to some local dressage shows in 2017. I think the judges will love him. Please call or email for updated video footage or to schedule a visit. Update: SOLD- Congratulations to Jeannine Brucha!